In 2001, Hellboy quit the B.P.R.D., leaving Abe Sapien, Liz Sherman, and a bizarre roster of special agents to defend the world from any occult threats and the growing menace of the frog army. Collects B.P.R.D. : Hollow Earth & Other Stories, B.P.R.D. : The Soul of Venice & Other Stories, and B.P.R.D. 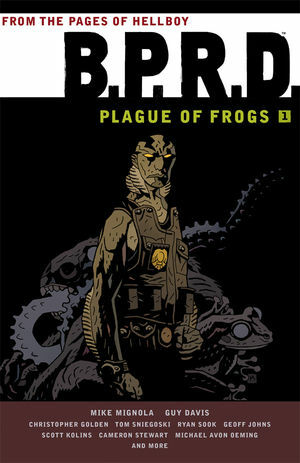 : Plague of Frogs. * Brand-new trade paperback edition! * Guy Davis?s Hellboy-universe debut!